On Thursday 12 April 2018, Avantage Reply will host an event on Interest Rate Risk in the Banking Book (IRRBB) in the Reply offices at 28-30 Grosvenor Gardens, London. Interest rates are expected to rise over the coming years, which is expected to help support net interest rate margins of banks however it also poses a number of risks (e.g. potential losses on bonds) and must therefore be carefully managed. Regulators are well aware of this and therefore closely monitor interest rate risk. 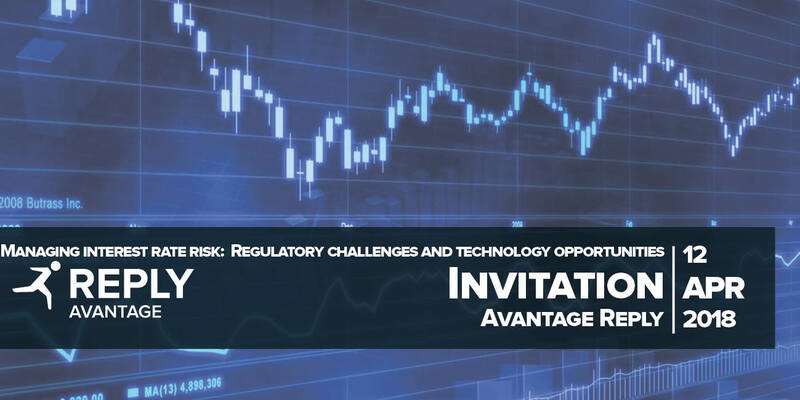 This event will discuss the evolving regulatory expectations and detail best practices on how banks can prepare themselves for the upcoming regulations such as the proposed Capital Requirements Regulation and Directive (implementing the Basel Standards from April 2016) and the EBA 2018 work programme. The event is free of charge however as space is limited you must be registered.